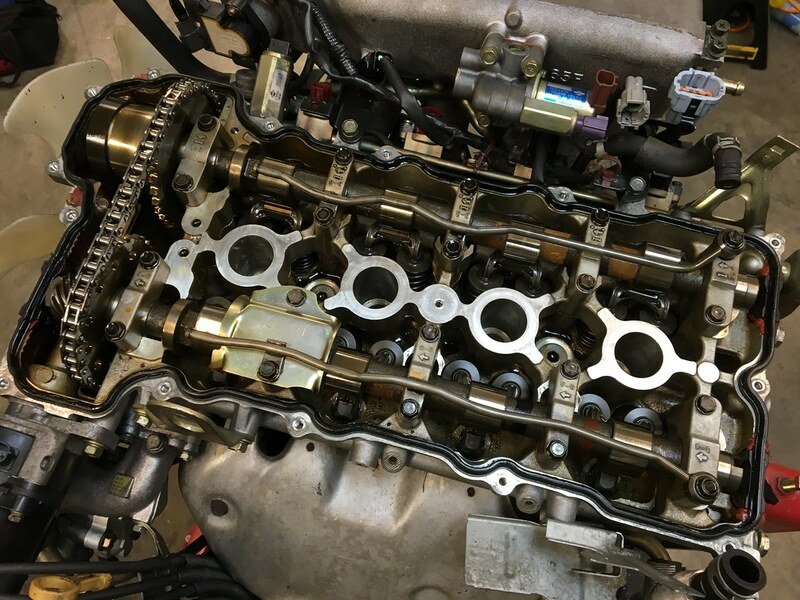 I have been wanting to write up and article about what to look for, how to buy, and what to do with your new-to-you SR20DE(T) engine for quite some time, so I figured that I might as well start to help others considering this awesome engine swap. Full disclosure here: I own and operate a small business called Spriso Motorsports which sells SR conversion parts for Datsun Roadsters, so you will see me referencing our parts on a regular basis, but I come here as an ambassador for this swap as I feel it still is one of the best conversions that you can do for this beloved chassis. 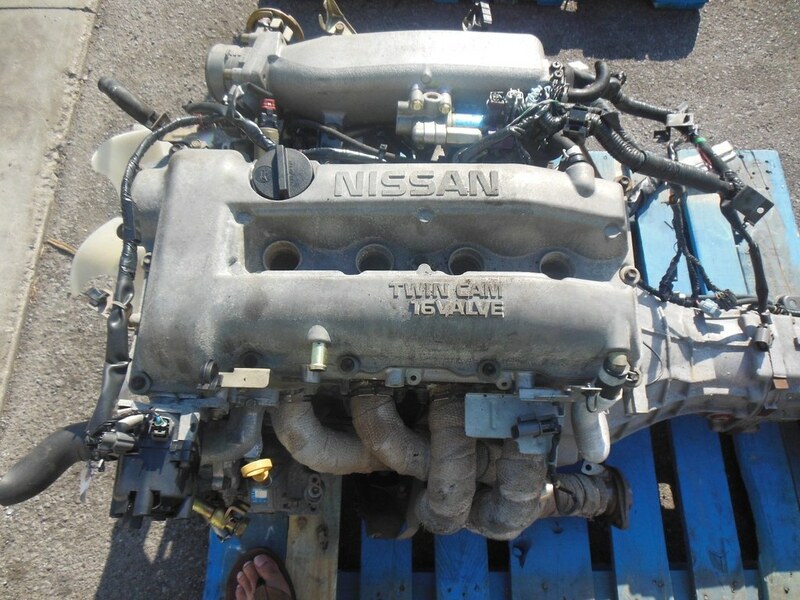 What's the deal with these "low mileage" Japanese import engines? 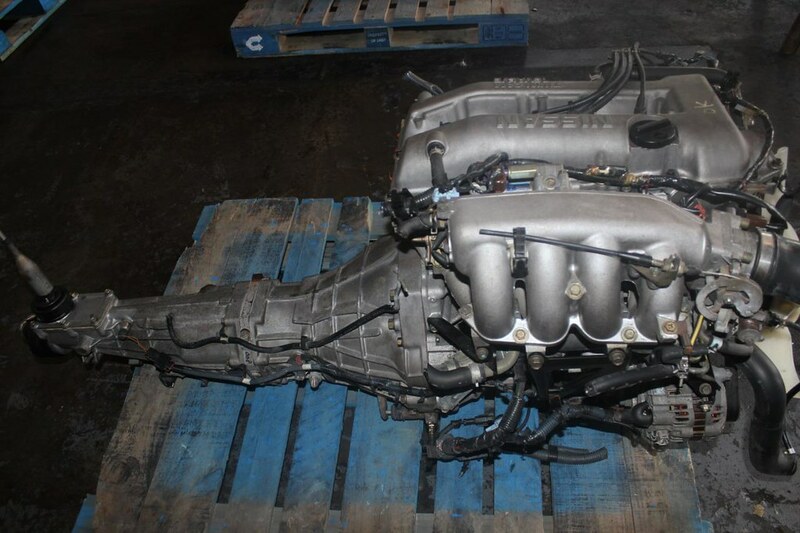 Japanese engine importers can be a virtual playground to a discerning roadster owner who has a taste for the exotic. 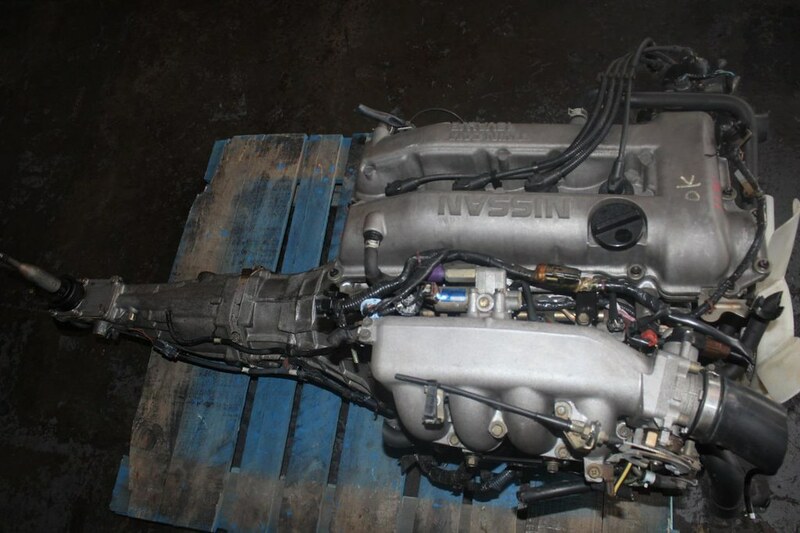 The Japanese market is treated to Nissan’s finest engine offerings. 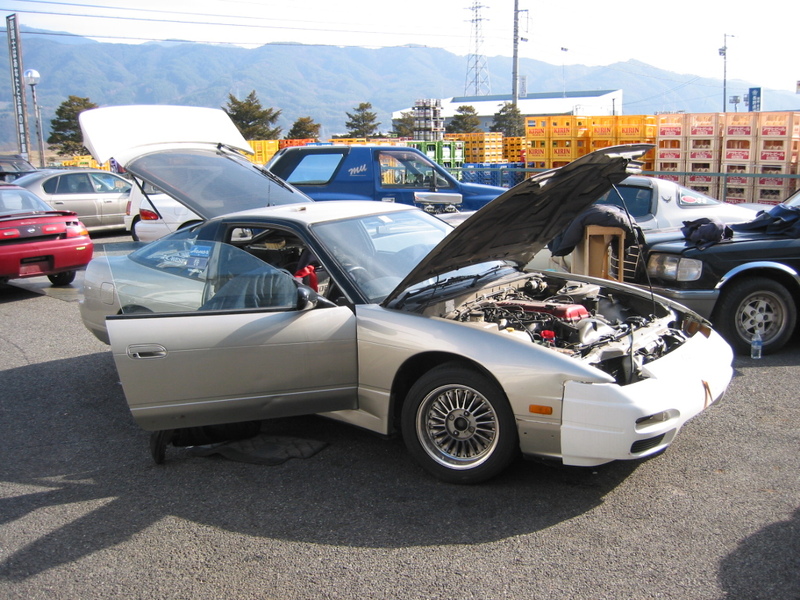 Engines such as the vaunted rear wheel drive (RWD) SR20DET, RB26DETT, and VQ30DET are installed into niche vehicles that are seldom seen outside of Japan. 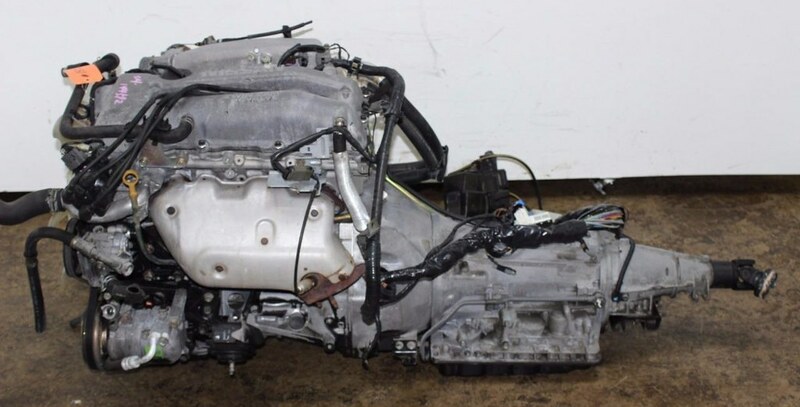 These expensive and exotic engines can feature all-aluminum blocks, ceramic ball bearing turbochargers, multi-valve intake systems, and distributor-less ignition systems—heady stuff to impress the fickle, and technology obsessed Japanese domestic market. 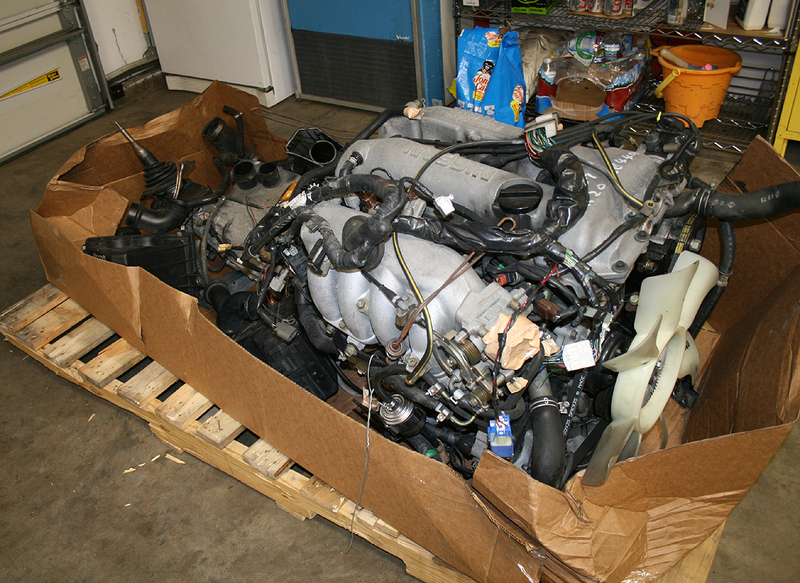 Engine importers have been selling Japanese market engines in North America for several decades now. 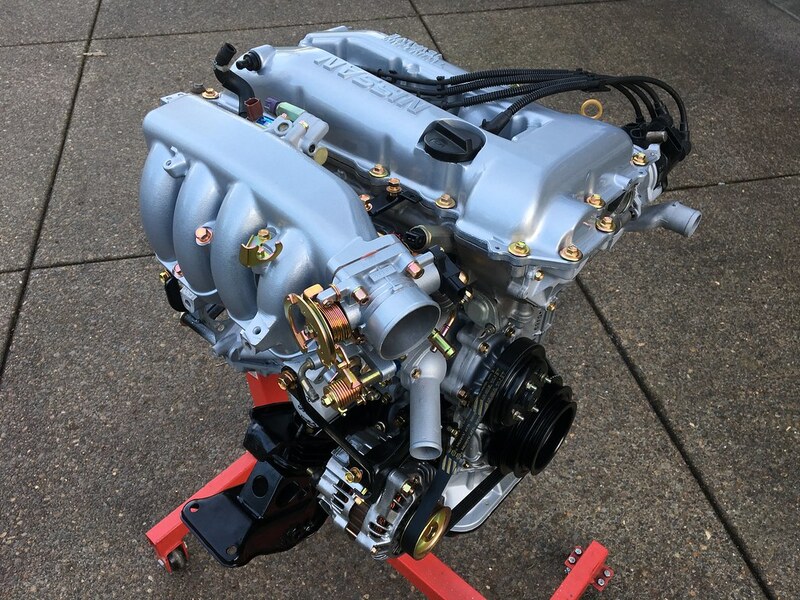 Back in the late 70s and through the 80s, imported L-16SSS, and L-18SSS engines found their way across the Pacific and were very popular swaps for Datsun 510 owners. 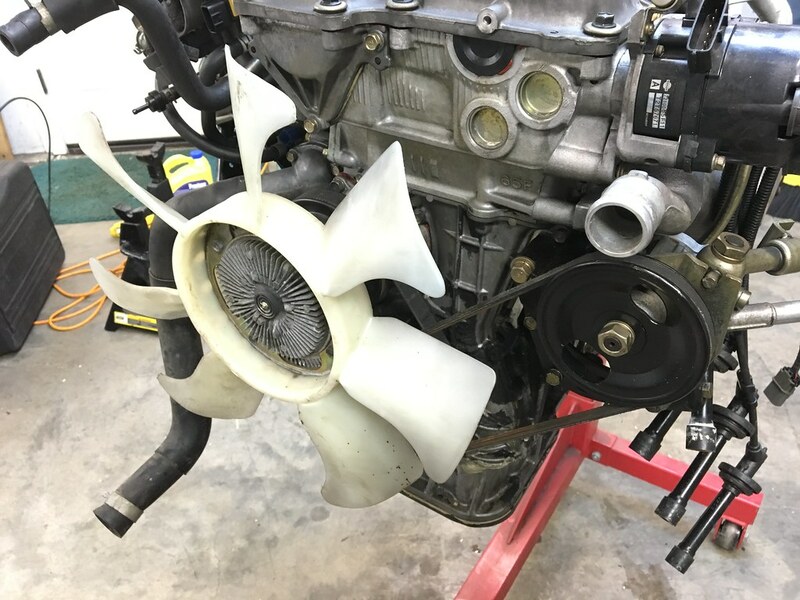 Low cost and easy installation made these engines an easy upgrade. 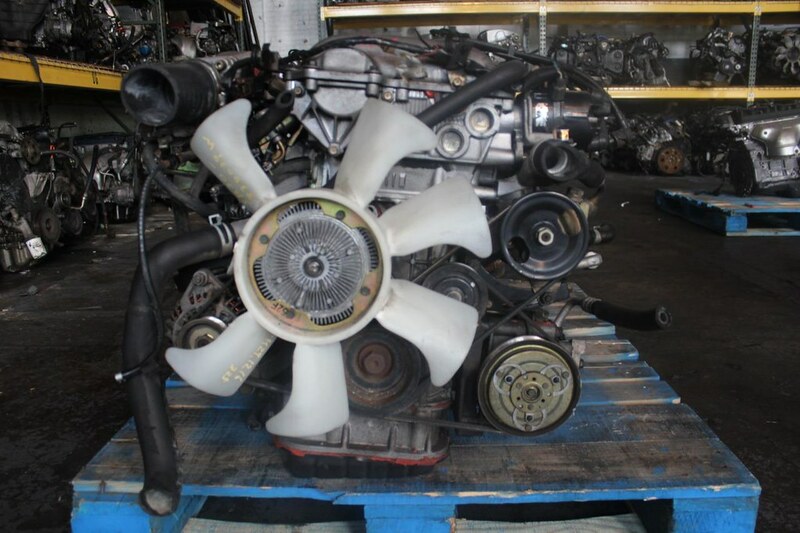 Where do these “low mileage” engines come from? 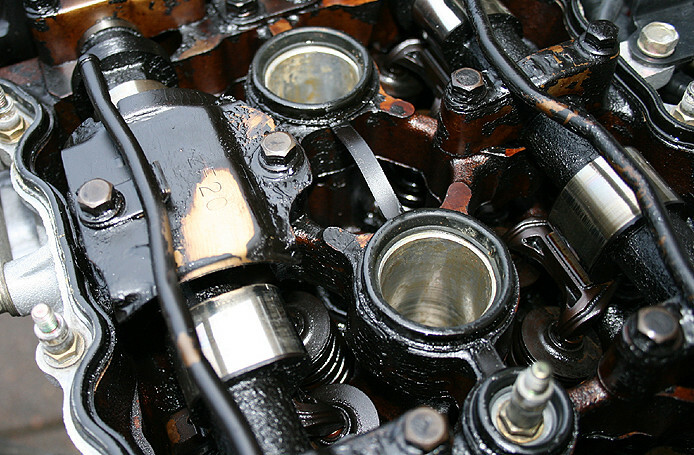 A common misconception is the theory that Japanese must replace their cars’ engines after 30,000 miles. While that makes for a good story, and probably sells a lot of engines, it simply is not the case. 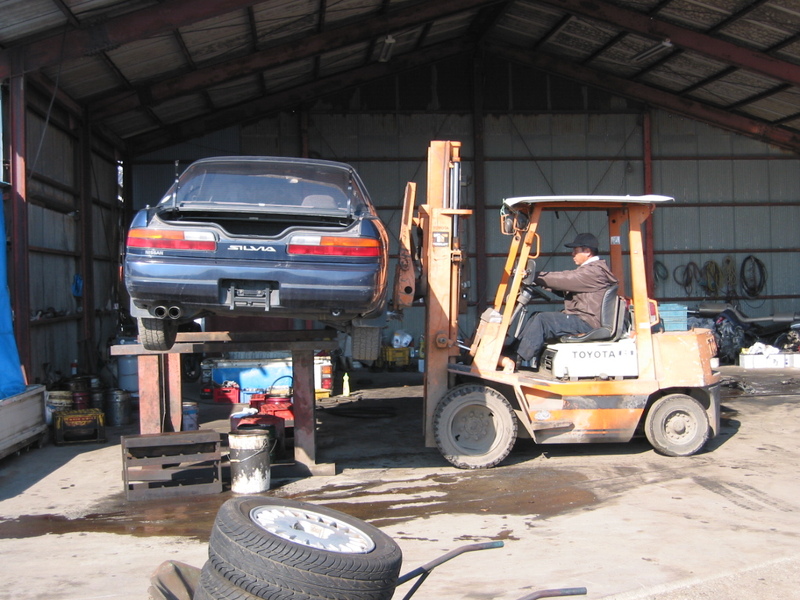 However, the Japanese government does artificially support the Japanese auto manufactures by requiring a comprehensive and expensive vehicle inspection for used cars once a vehicle reaches 10-years of age. 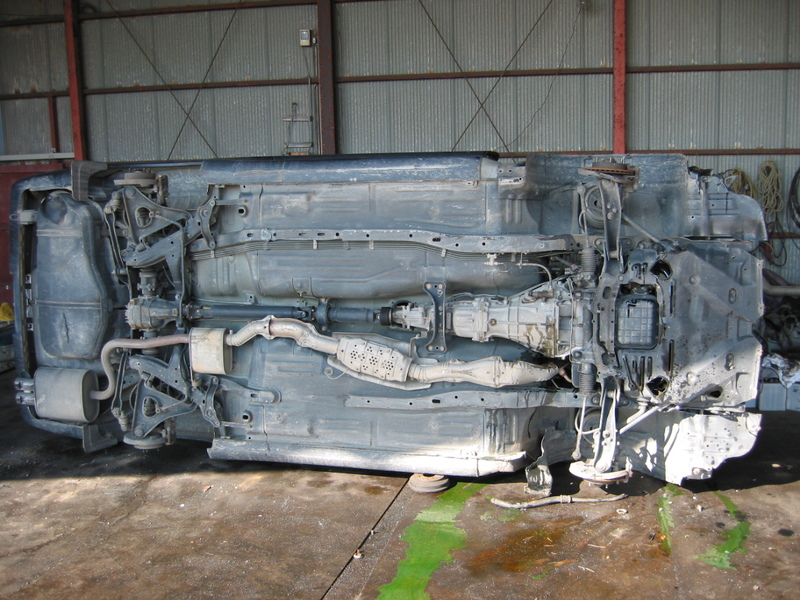 This dreaded inspection called Shaken, is expensive (about $1000) and in many cases, must be repeated every other year. Old car registration, if you can call a 10-year old car old, is an additional $1000, and depending on various laws, can occur annually or biannually. 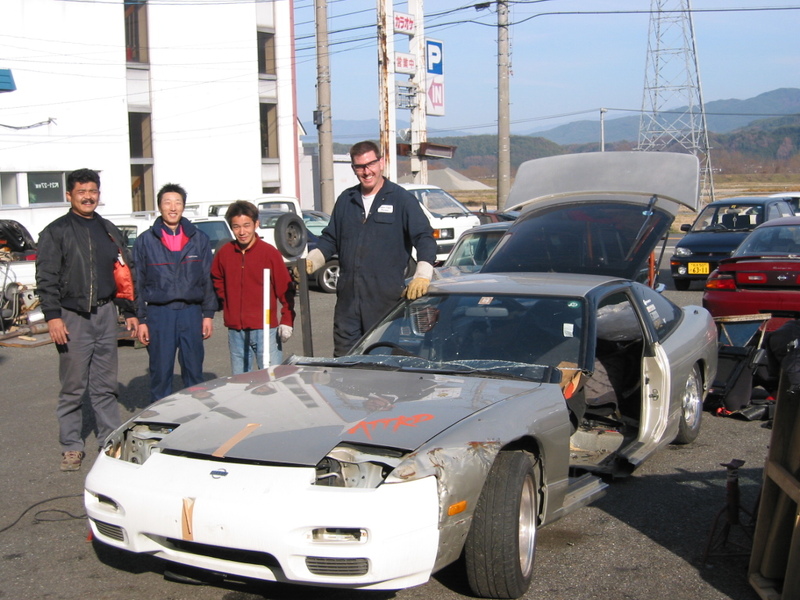 Knowing that it will cost at least $2000 to continue driving their 10-yearold automobiles, many Japanese liquidate their cars, which are either scrapped or exported to other countries. 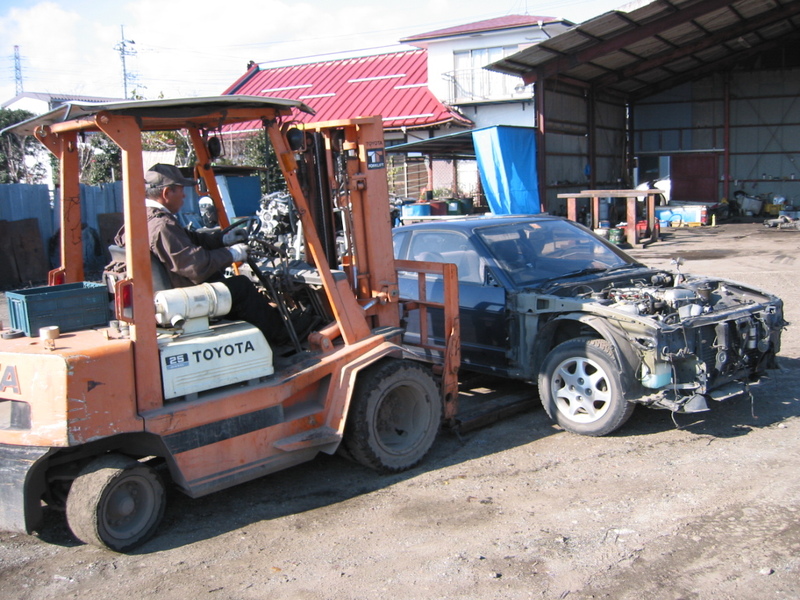 In many cases, these condemned 10-yearold cars have not accumulated many miles (Japan is a tiny country) and have power trains that have lots of life left in them. 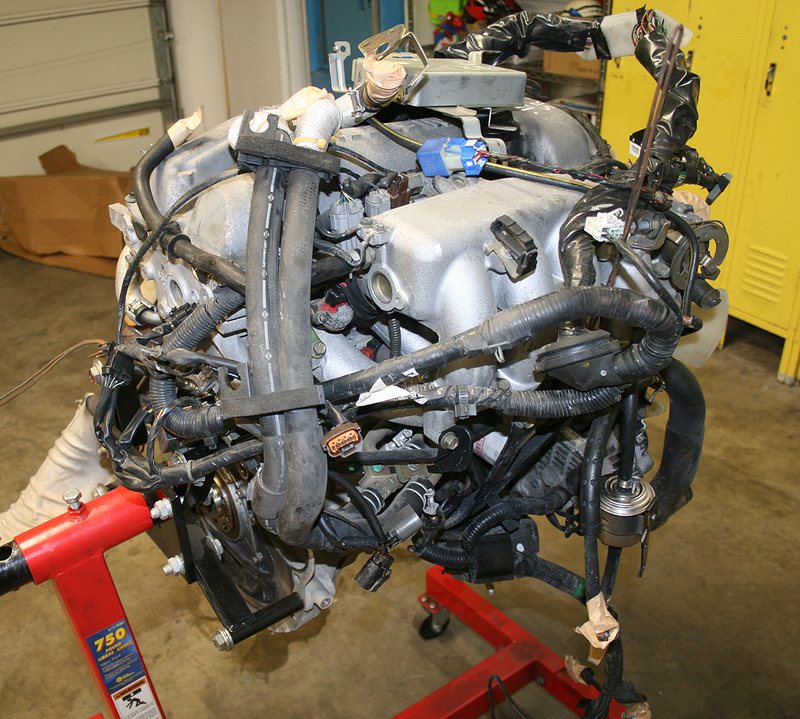 These engines are typically removed very quickly from the donor cars so engine wiring harnesses are typically sheared in half, hoses cut, and anything that connects from the car to the engine is removed via a cutting saw, or torch. 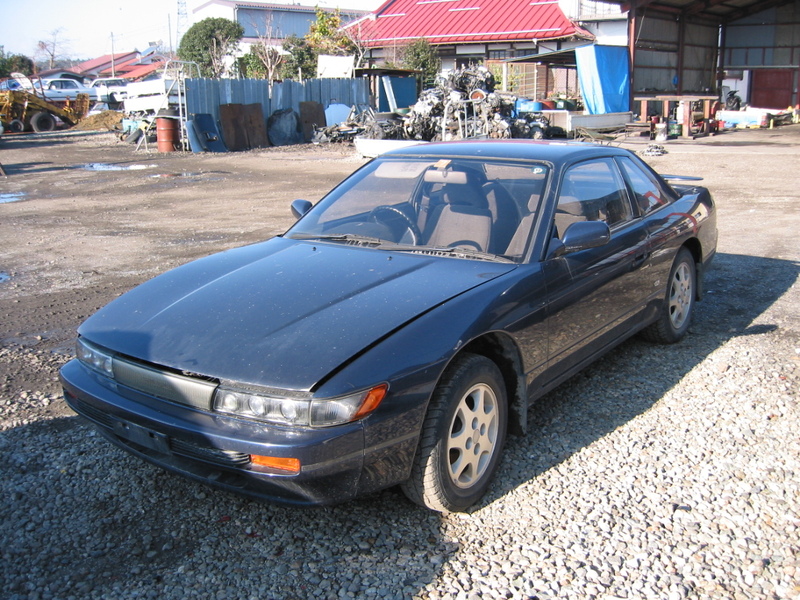 We would buy cars that were out of registration and needed a Shaken inspection-- very cheap, as they were considered "junk" at this point-- here was a typical example of a S13 Nissan Silvia (36,000 km on the clock)-- that had absolutely nothing wrong with it other than it was over 10-years old. We would strip the front ends (to sell to 240SX guys here) and then the motor set would be unceremoniously pulled from the car. 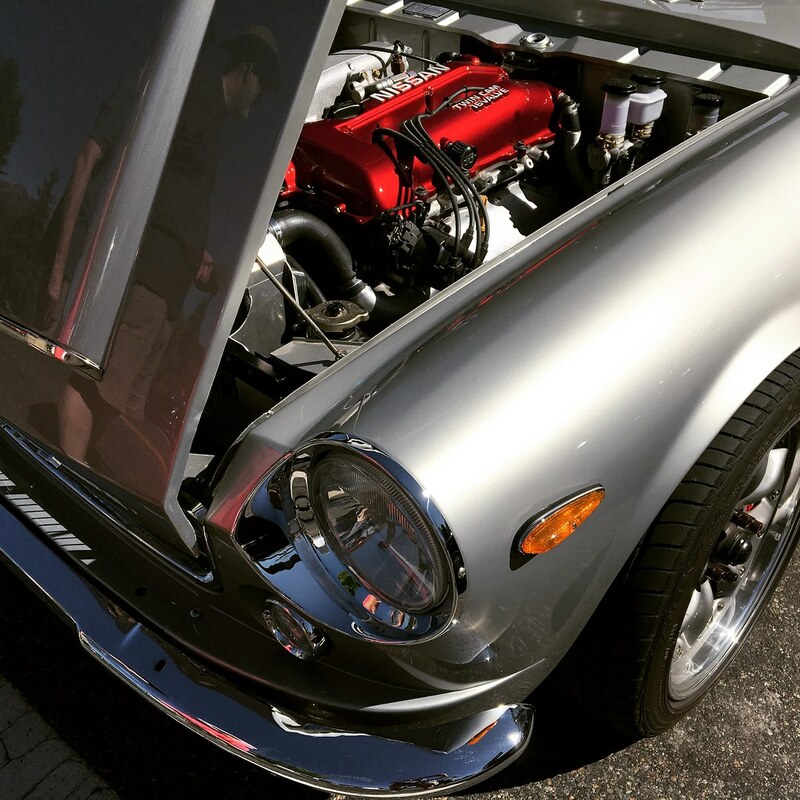 So that is a "Motor Set"-- a complete engine/trans setup that is perfectly suited for a swap into a Datsun Roadster. 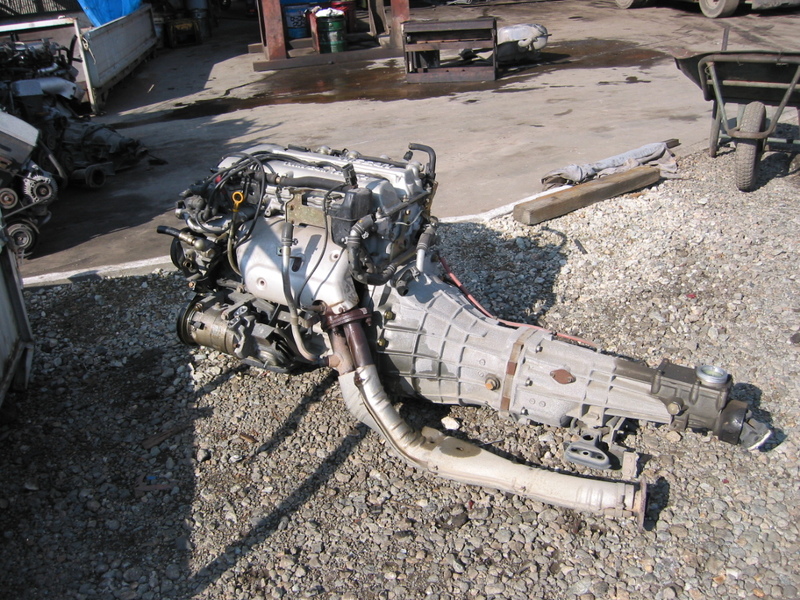 You will also hear Japanese engine importers refer to "Half-Cuts"-- here is what those are and how they were processed. 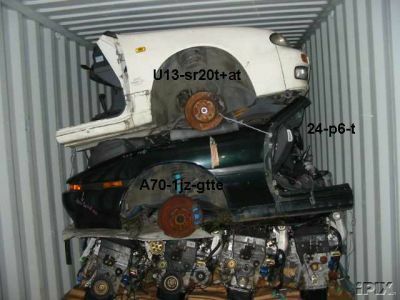 For a lot of the turbo cars, we would import them as half cuts as they were being sold to 240SX guys who wanted all the parts to convert their USDM cars to JDM spec. Sadly, we no longer import our own half cuts and engine sets due to work and family commitments these days (but we sure had a blast when we were!) 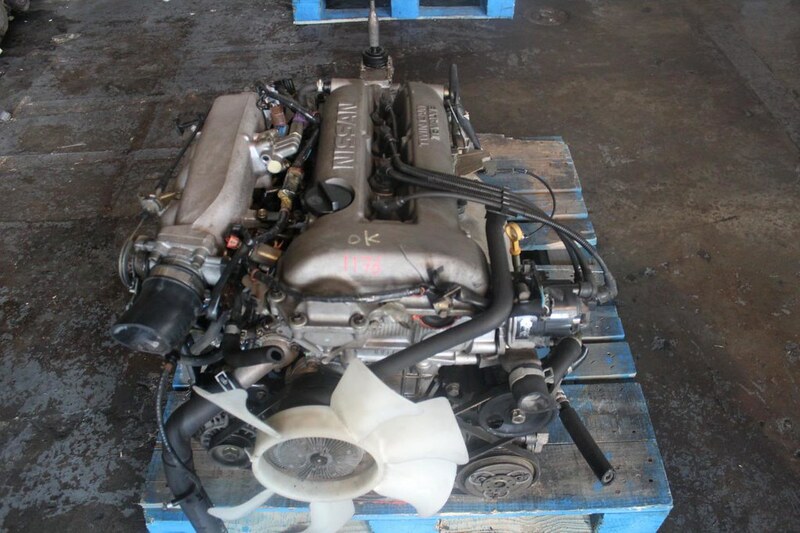 There are no end of Japanese engine importers in North America, and SR20DE and DET engine sets can also be easily found on online places such as eBay as well. 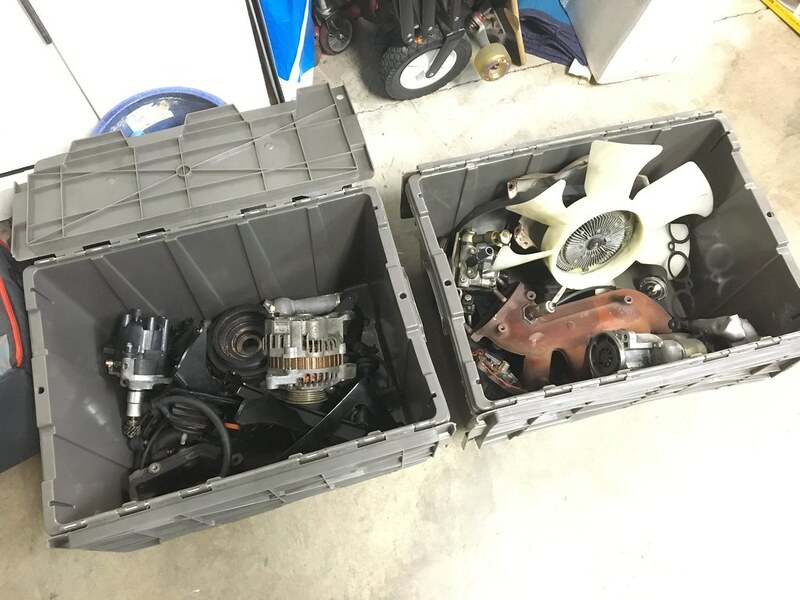 Anyway, that is a brief tutorial on what "Motor Sets" and "Half Cuts" are, and how they get here, part II will discuss what look for when you are looking at an engine at an importer, and part III will discuss what to do with it when you get it home! 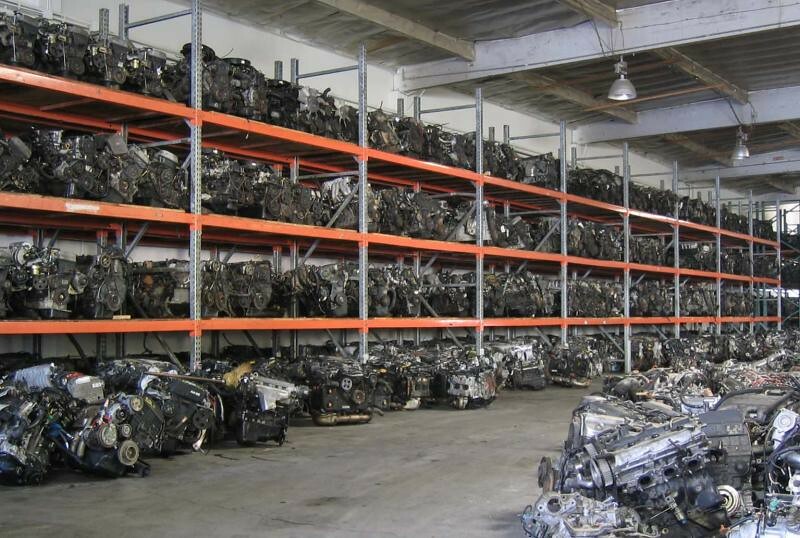 Ok, so now that you have a better understanding of what a "Motor Set" and "Half Cut" are, and you have decided to buy an engine for your Datsun Roadster swap, its time to check your local engine importer's inventory to see what they may have in stock. 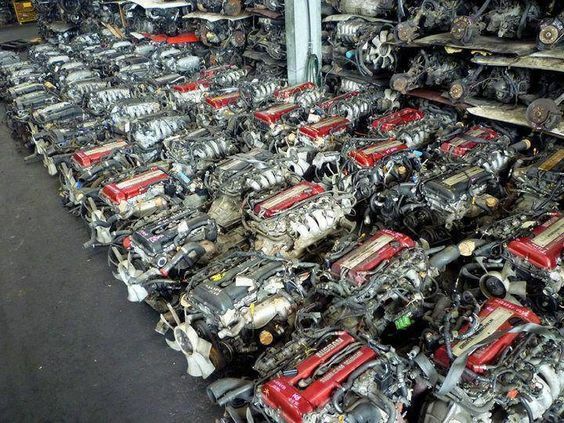 I pulled this photo off the web-- you would be very lucky to see this kind of inventory at any importer, but it does illustrate how many engines some larger importers may have. Motor Set vs. Half Cut-- what should I buy? 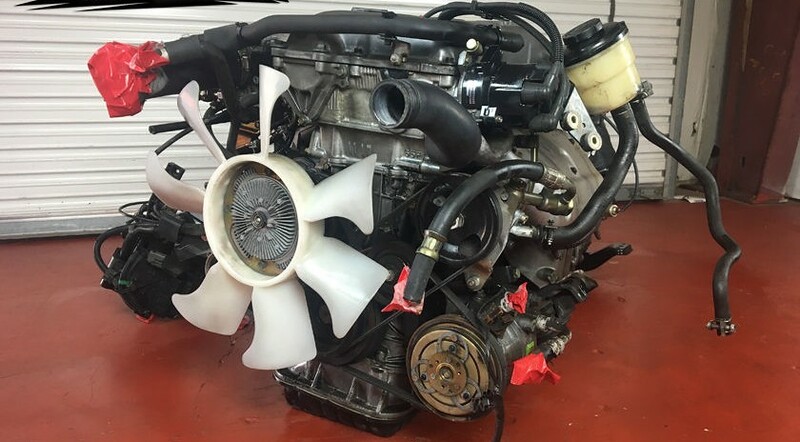 In 9.5 times out of 10, I will recommend to my customers to just buy a Motor Set-- You will not be able to use any of the radiator, hoses, intercooler plumbing, etc. that comes in a half-cut, so you are just paying more money for parts you won't use. 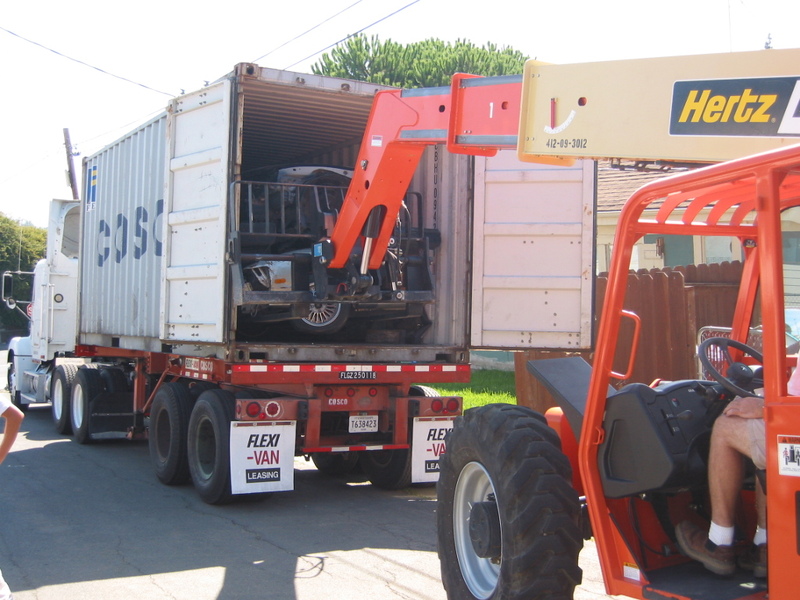 Yes, you could probably sell some of those parts, but for us, it is not worth the hassle. 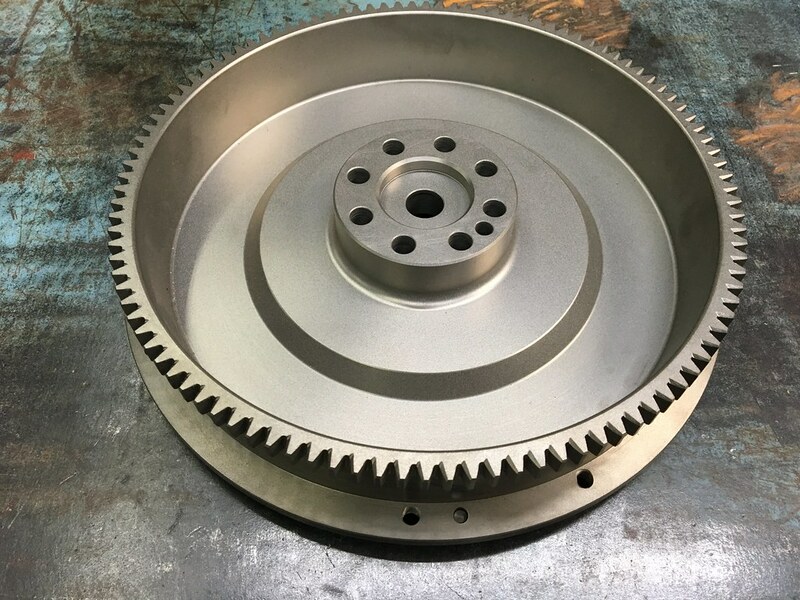 If I was putting this into a 240SX, it would be a different matter as most of the parts will bolt right in. Ok-- let's go buy an engine! 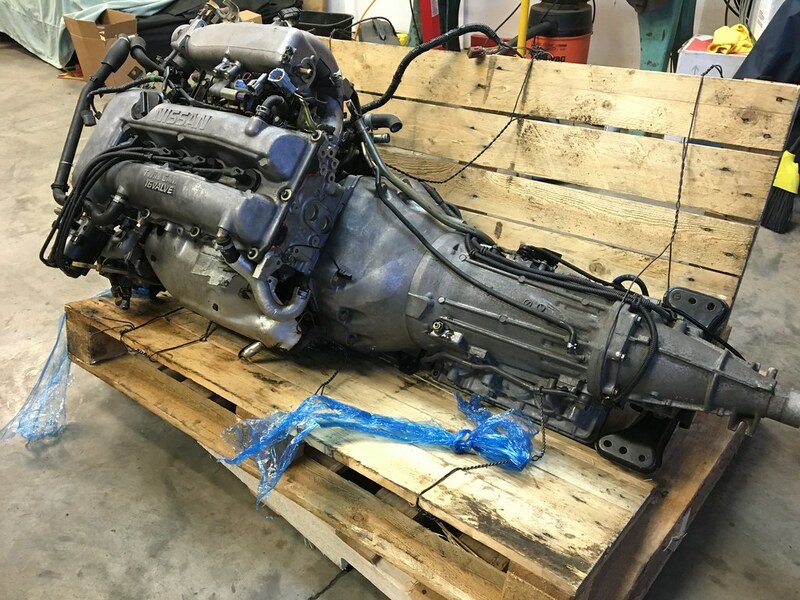 So you have decided that in this case, you would like a S14 SR20DE engine (just because I could find a bunch of photos for this post), and after calling around your local importer has some in inventory so you decide to check them out. Be prepared to be a bit overwhelmed when you arrive. 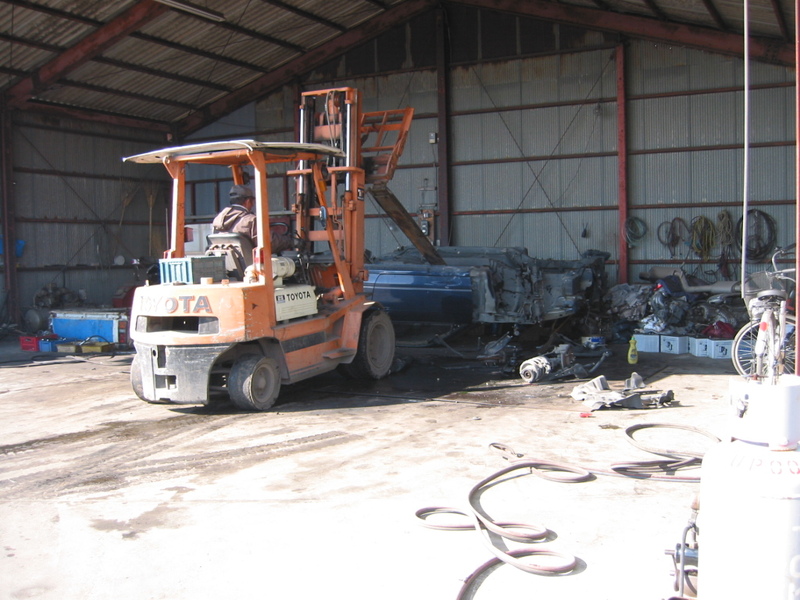 There will be car parts everywhere, it will smell funny (engine warehouses always do), and you will probably be wondering "what the hell have I got myself into?" How big of a deal is a cut harness? 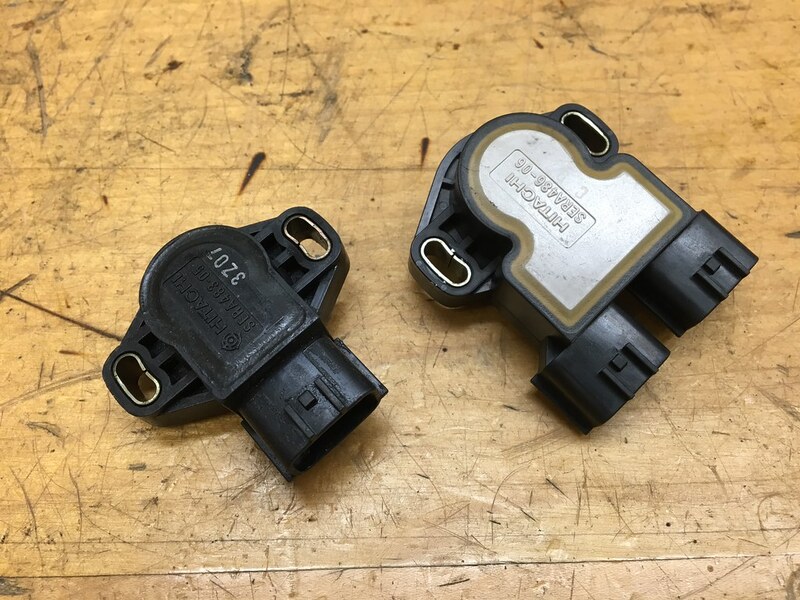 Not really that big of a deal anymore as companies such as Wiring Specialties make brand new plug and play harnesses for these engines-- but you can certainly use it as a negotiation point with the importer to get a better price on your engine-- and you will be spending more money if have to get a new harness! 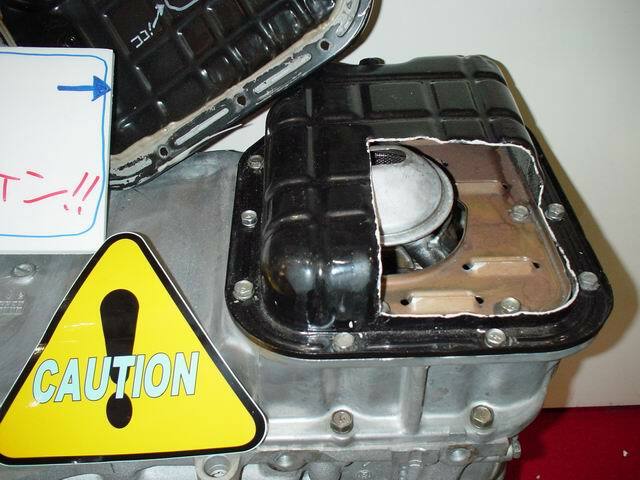 Nice to see that the exhaust cover is not damaged and the O2 sensor is intact-- again we won't use the RWD exhaust manifold, but it does indicate that the engine was packed in the container with some care. Check that the distributor cap is complete and undamaged and all the spark plug wires are intact. 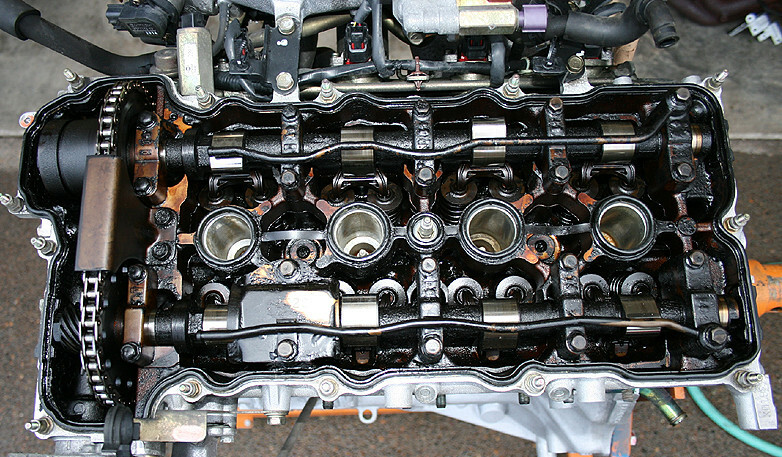 Check the valve cover to make sure it is not cracked-- remember that there was probably a layer (or two) of other engines stacked on top of this and we have had a few cracked valve covers over the years. 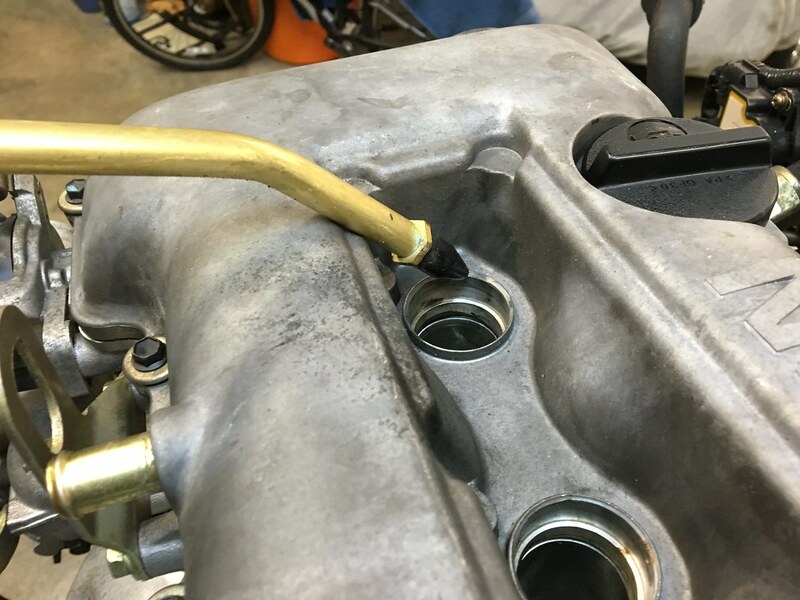 Pull the dip stick and see if there is any oil in the engine-- what does it look like? 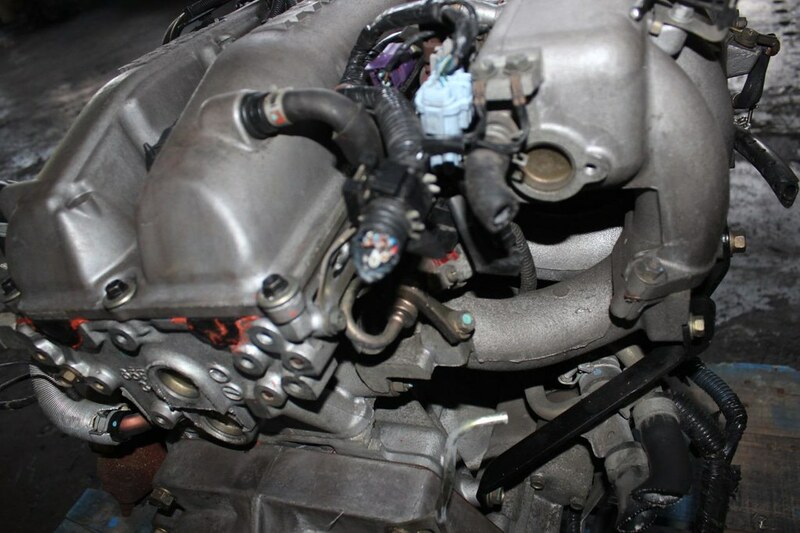 I also pull the oil cap off of the valve cover and use a flash light to look at the cams and cylinder head. It should be a nice gold color and the cam should have a highly polished finish with no scarring. 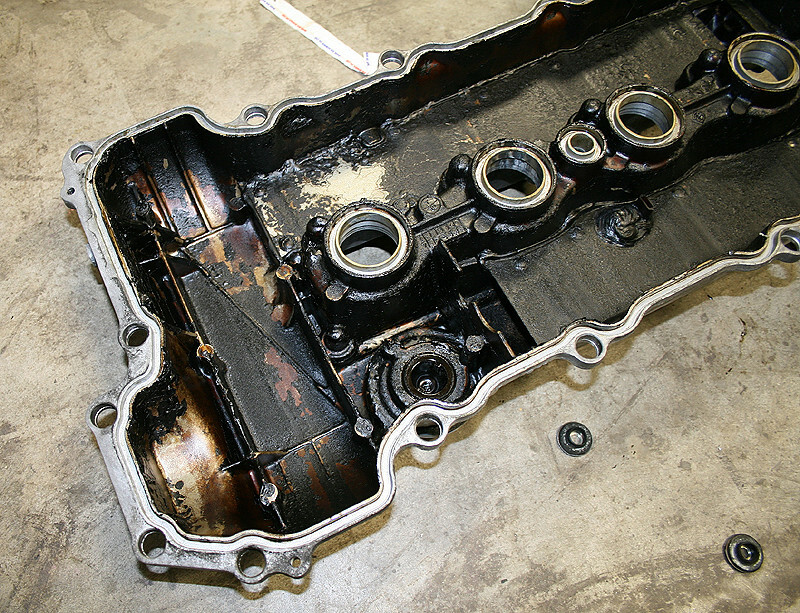 I also like to do a "sniff test" (go ahead, laugh) where I smell what the inside of the valve cover smells like-- it should smell like sweet oil-- NOT burned oil. 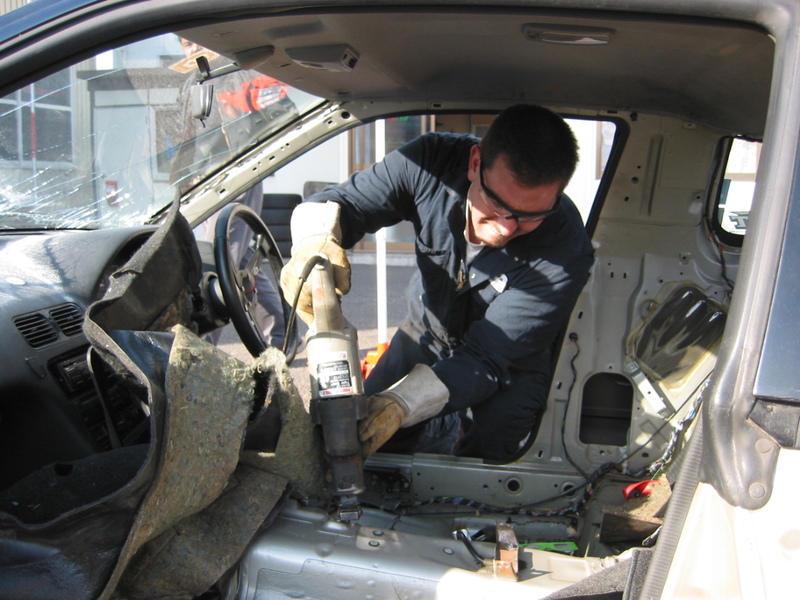 Ask the importer if they can provide a compression test (likely) and or a leak down test (unlikely) as well. Generally tired looking, missing spark plug wires, what else is missing that I will have to find later? Beware of the shine: Some engine importers love to pressure wash the engines, and then clear coat them to make them look "shiny new". Not a fan of this treatment and it makes it harder to detail the engine properly later. Sitting on the oil pan: This is a common problem when buying "motor sets" as the engines are loose in the container and they just rest them on the oil pan-- this is not a good thing on an SR engine as the oil pickup is very close to the bottom of the oil pan and what appears to be a minor dent can actually press up against the bottom of the oil pickup causing starvation issues. 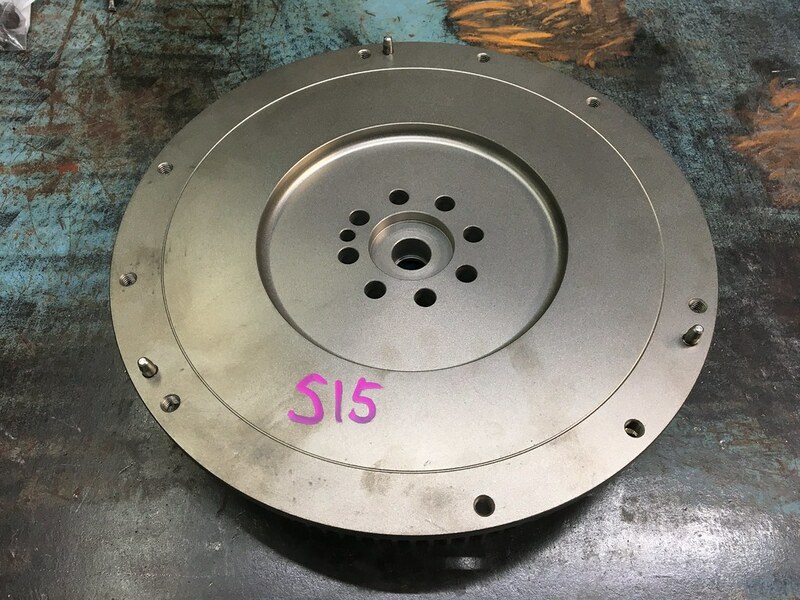 Again, when we get this engine home we will put this on the engine stand and pull that oil pan off (and likely replace it) -- just don't try to put this in your car without a proper inspection! 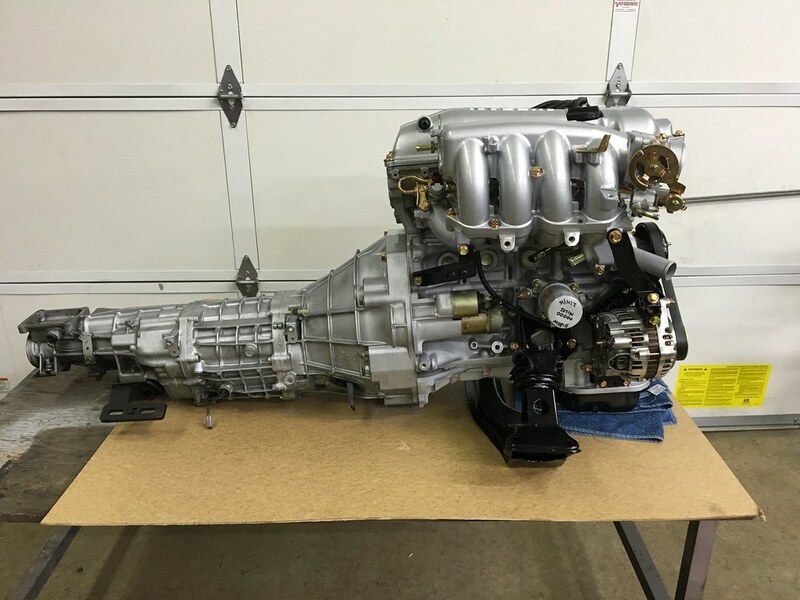 Ok-- that is all for now-- I will update this thread as I get better examples--- good luck, be patient, and don't buy the first engine you see--- they are not that hard to find! Last edited by spriso on 22 Nov 2017 11:01, edited 1 time in total. 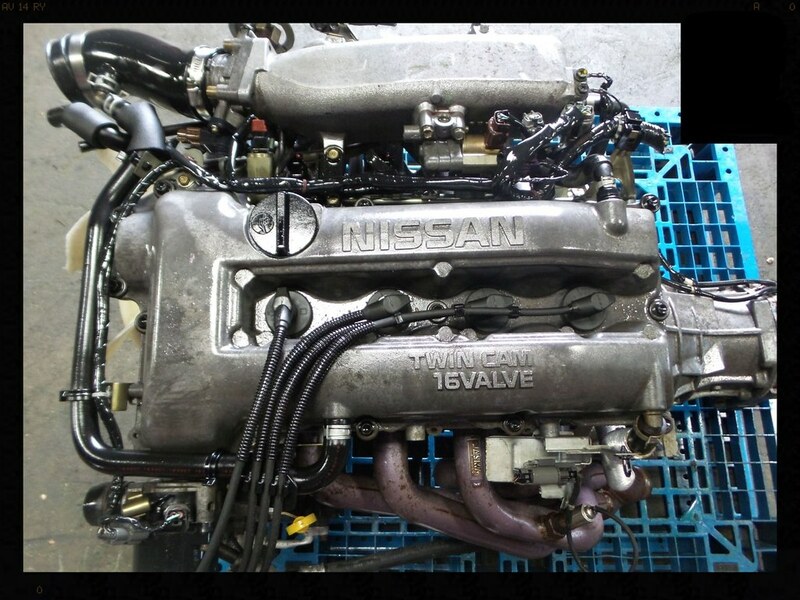 If your local importer does not have any 5-speed equipped SR20DE/T engines, but they do have an automatic, this can also be an option. 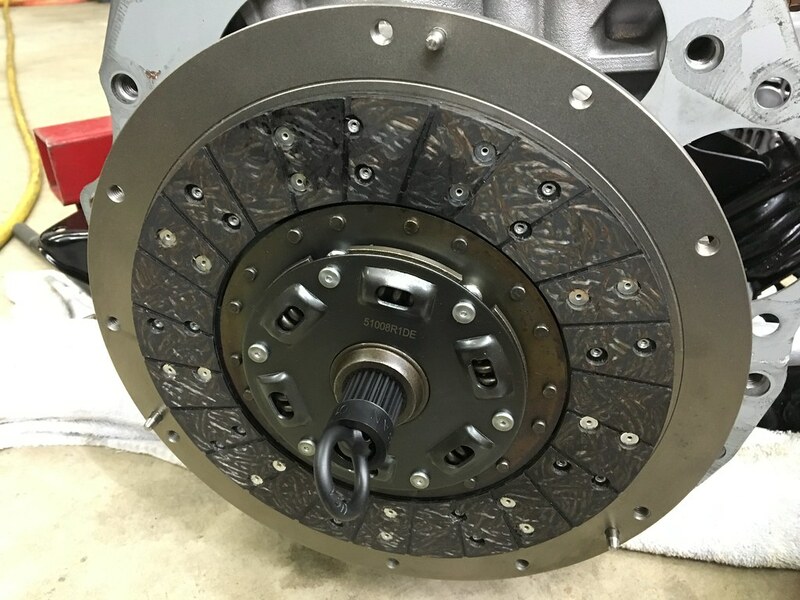 The automatic-transmission motor sets are normally quite a bit cheaper, and 99% of the time, they are mint as a typical automatic trans driver has not been beating on their car. 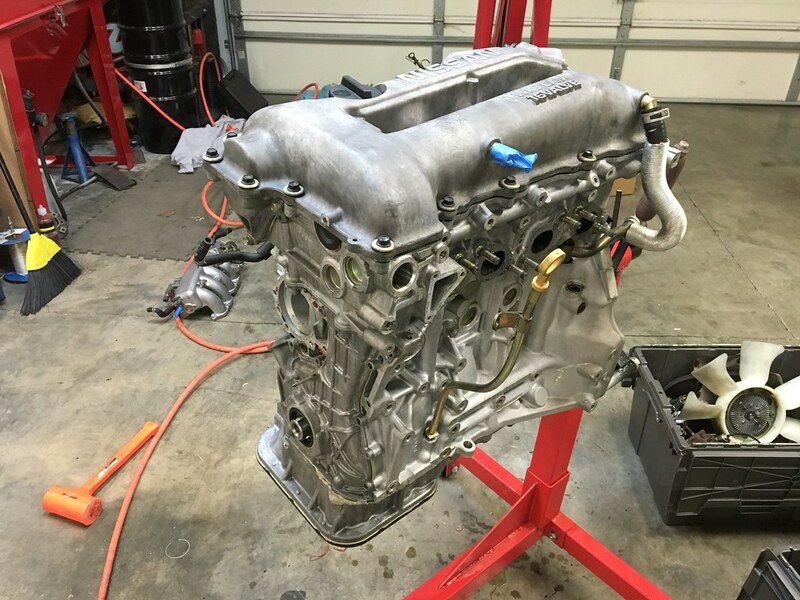 We have put the Automatic SR20DE's into the roadster, it is possible to do with some rework of the x-frame and the transmission tunnel to clear the large oil pan on the transmission. Ok, but lets say you want a 5-speed or 6-speed manual transmission, but all you can find is an automatic engine? No problem, its all plug and play! These bushings are pressed into the back of the crankshaft, but are removable with some tenacity and a bushing removal tool. 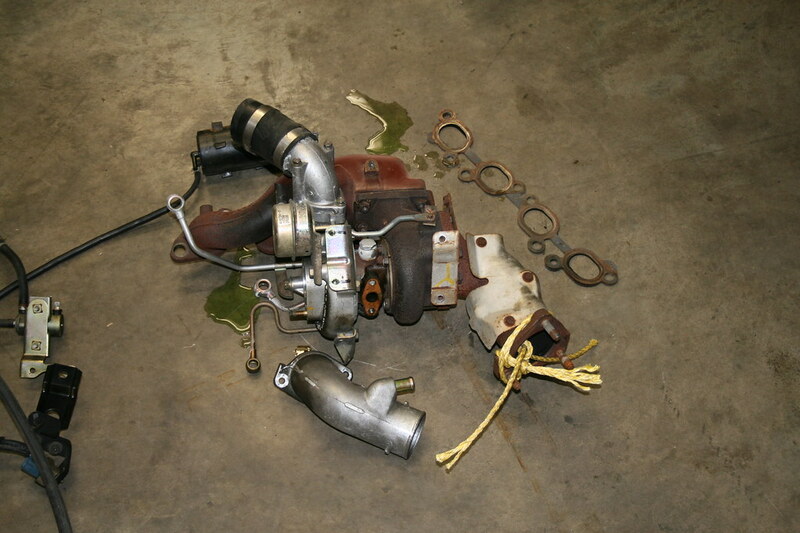 (Note that the TPS will need to be re-calibrated to the throttle body after installation). 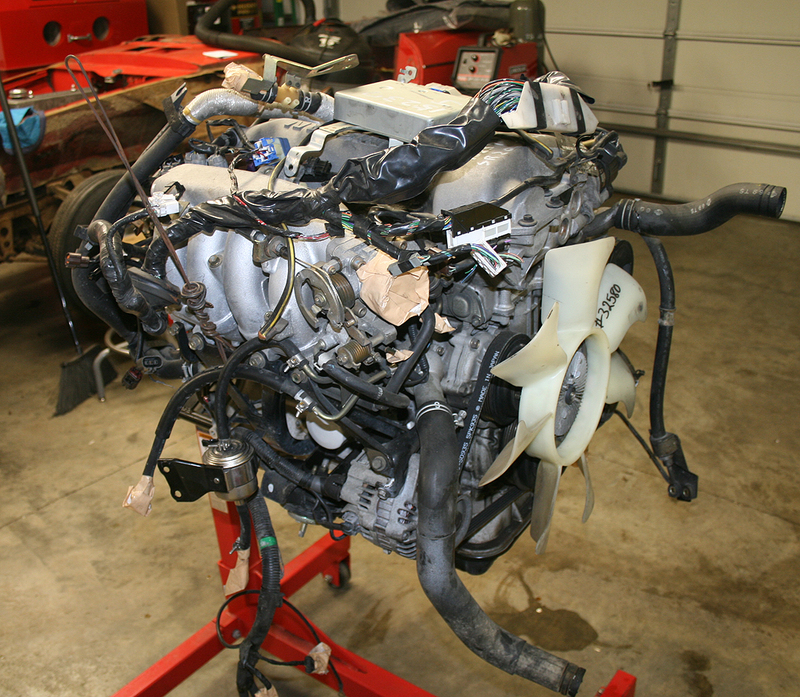 Since this engine set did not come with a harness or ECU, we ordered a new harness from Wiring Specialties, and I had some spare 5-speed ECUs here, so the engine was easily converted to our customer specs. Is this the easy way? 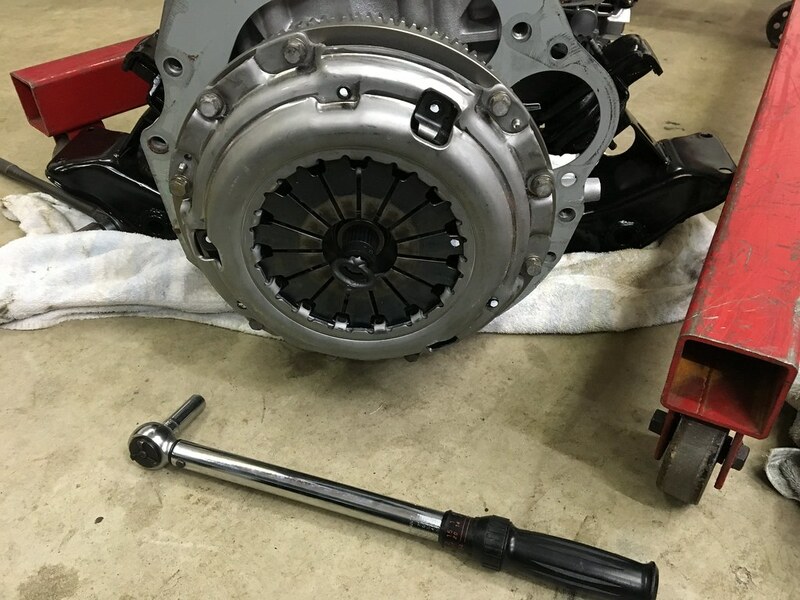 No, probably not, but since my customer had a specific request of what he was looking for, and we could not find a manual transmission Motor Set in to match his timeline,it was an alternative solution. The point is, if you can't find a SR with manual transmission, don't immediately disregard the automatic versions if one is available. Last edited by spriso on 22 Nov 2017 11:02, edited 1 time in total. 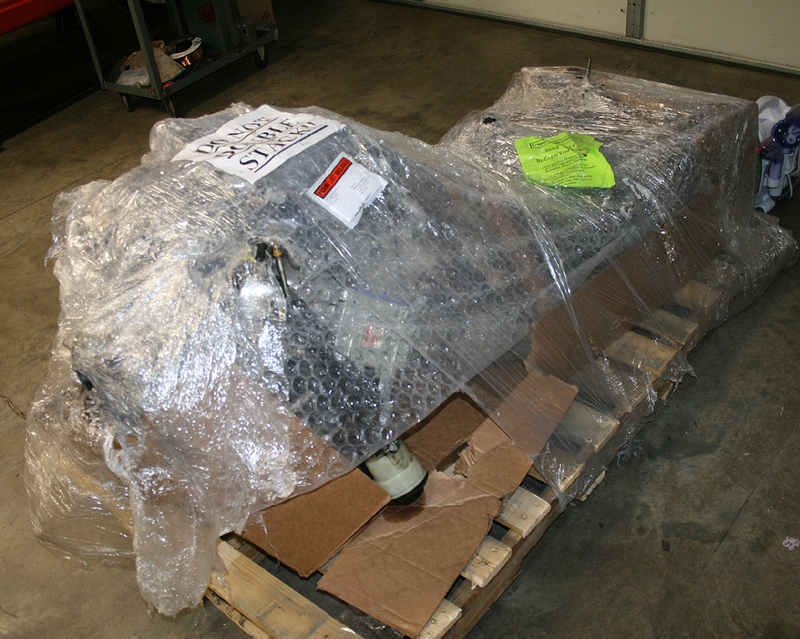 So, you have ordered an engine, and it has finally arrived, and now it is time to take on this project. What's under all that bubble wrap? "Crap. All I see is wiring, hoses, brackets, and other stuff that I have no idea what it does all over the place..." you are probably thinking. 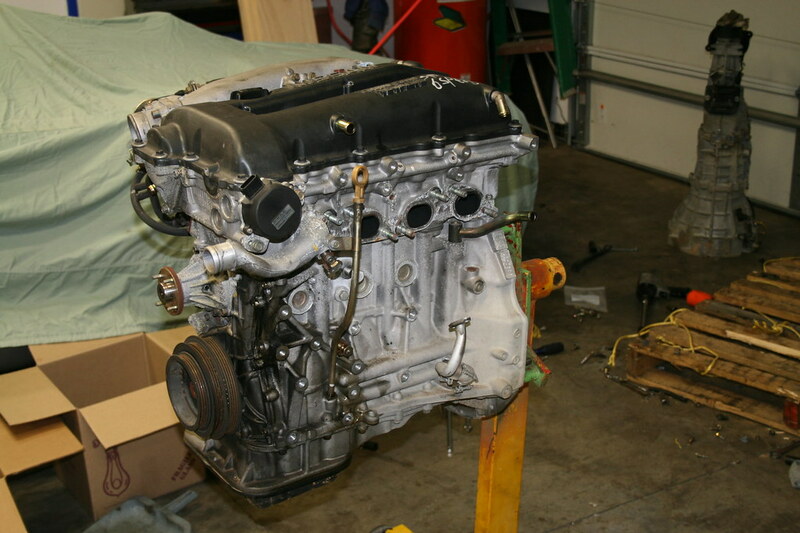 Don't panic, its not that big of a deal once you start identifying everything and removing it from the long block. 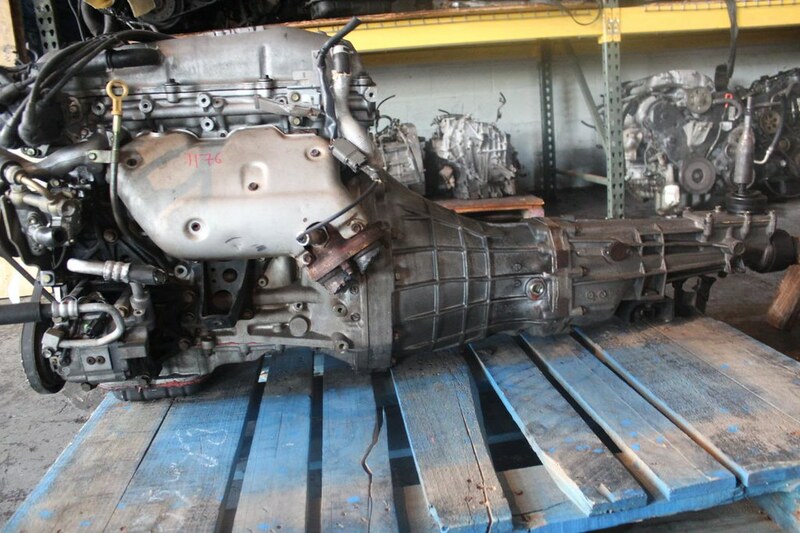 Slide the transmission off, and then remove the clutch assembly and flywheel from the back of the engine. 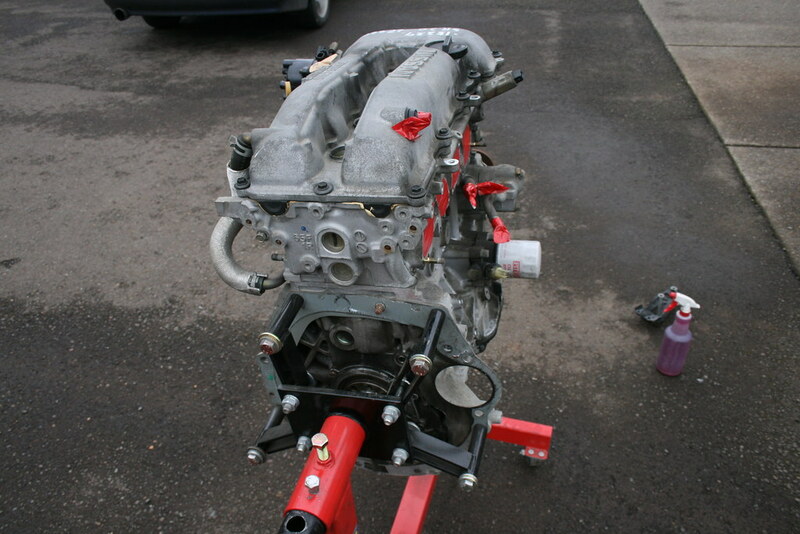 Be sure to mark and bag all the hardware so you know where it will go when it comes time to re-assemble the engine assembly. And now its time to scrub, scrub, scrub. We like to use a cleaner called Purple Power with brass brushes and warm water, but everyone has a preference on how to clean their block. 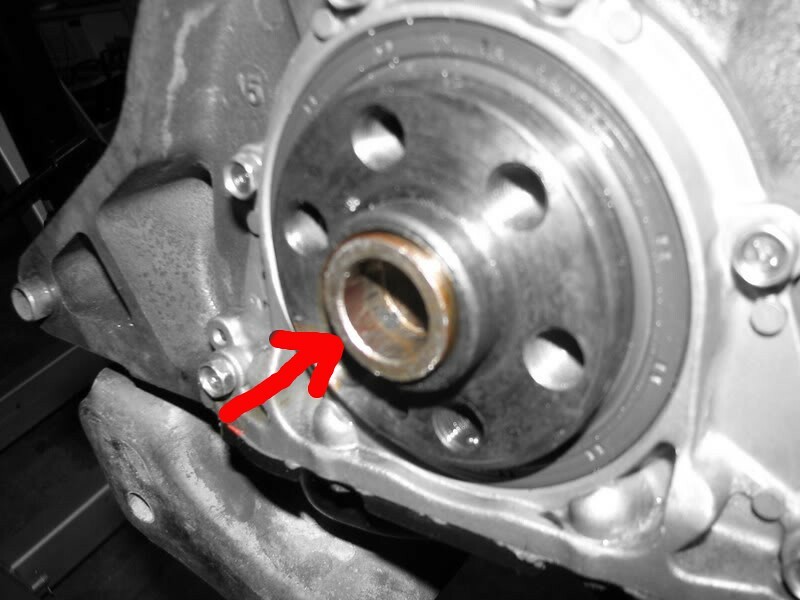 I find that this is an excellent time to see where there might be some potential problems and to start figuring out the parts that you want to replace or reseal. 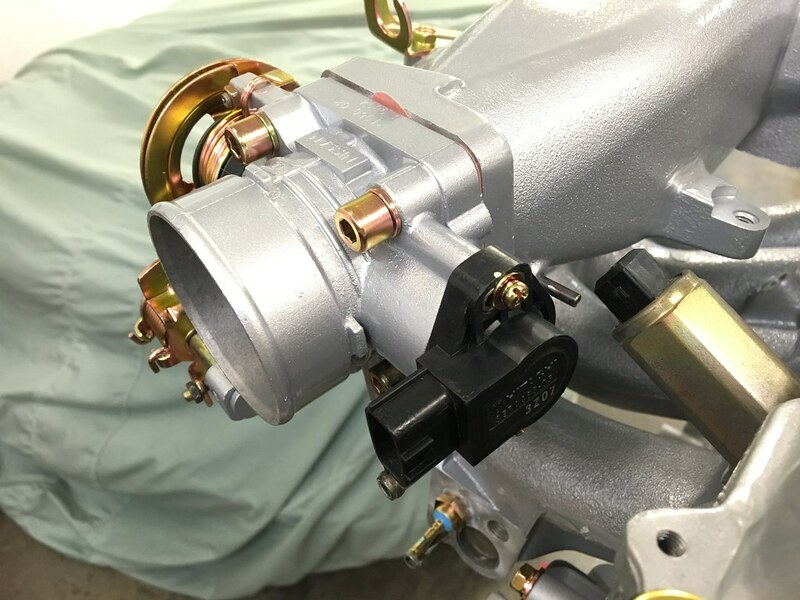 Ok, in part 2 of this post, we will do some service work and more inspection, and then prep everything for re-installation. Do your VE conversion next! I'm glad I asked this one little question. Thanks, this is very appreciated. DREAM post response. Thanks Michael! Wow, now there is some really useful stuff! Helps me understand the essentials in modern motor swaps (me caveman - SBC fit anything with hammer) and the direction I am likely to go into my 620 (SR20DE...) It looks a bit tight on the drivers side around the steering. 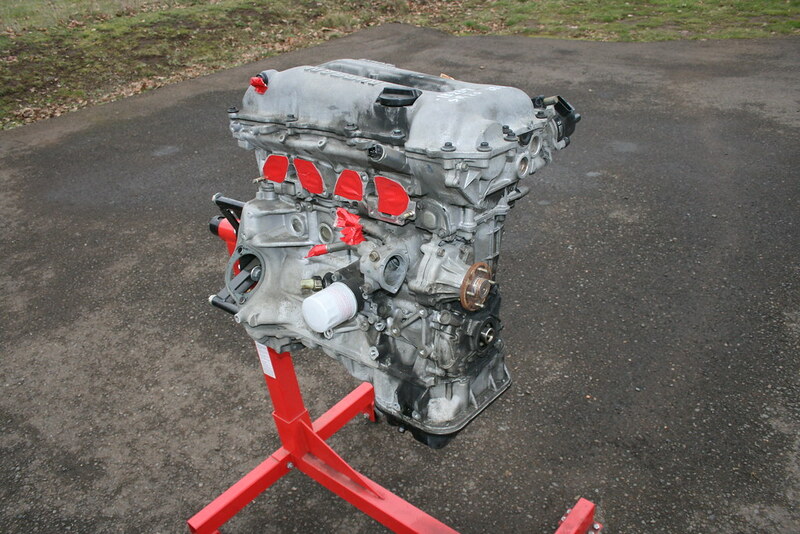 Can someone tell me the weight difference between a L20B with 4 spd manual and a SR20DE with 5 or 6 spd? 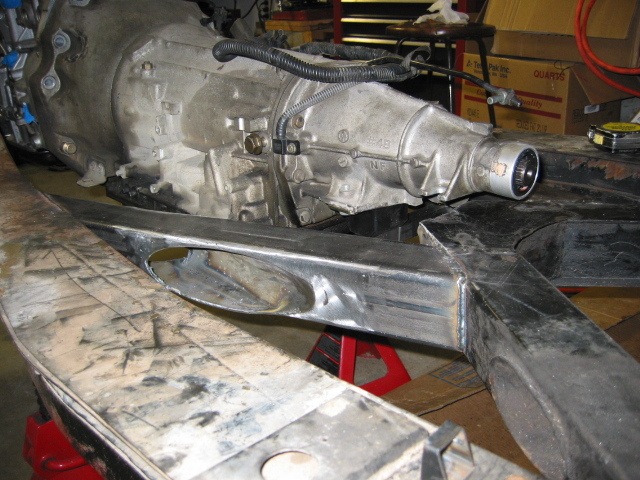 Anyone know the weight bias from the engine mounts f/r? 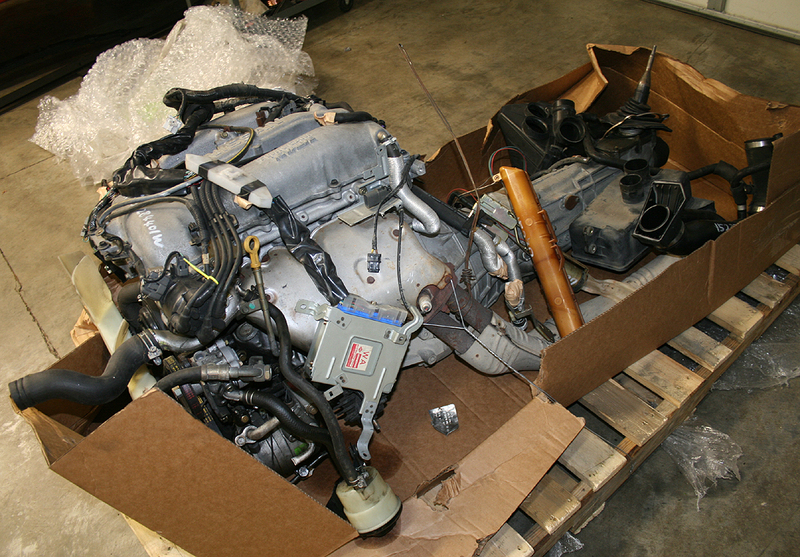 You are more than welcome-- I would think that a L20B 4-speed is going to have a similar weight to a SR20DE/5-speed. 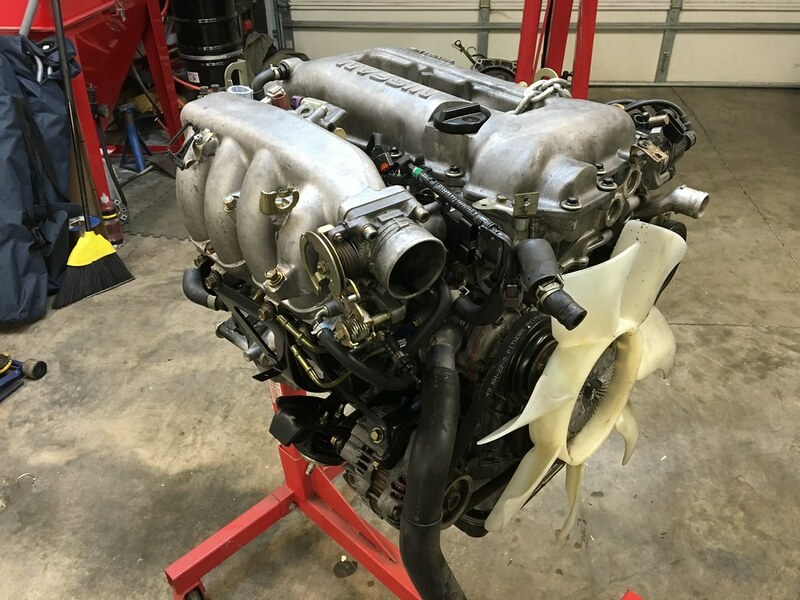 I weighted a L18 the other day and it was 302 without the starter or carbs (weight the SR20DET with the starter) So i'm sure it's going to be around 320 vs. 372 for the SR20DET. 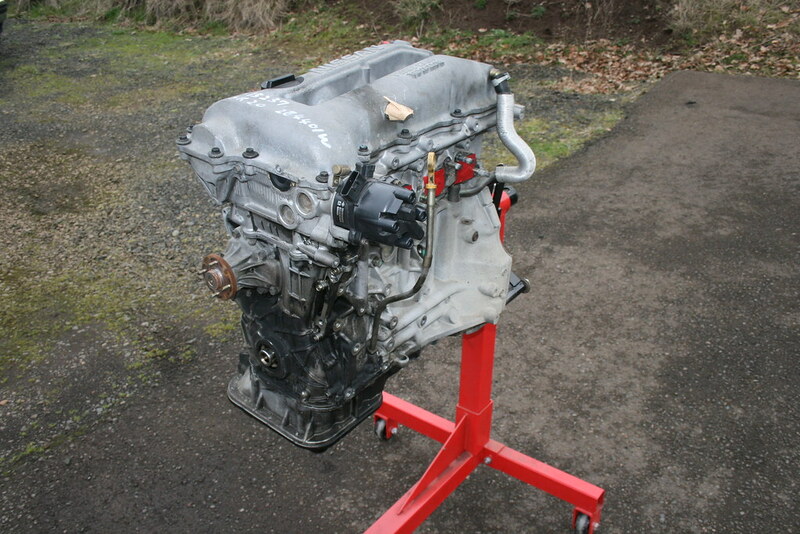 The L20 is going to weigh more with the taller block and I'm sure a bigger alternator then the 510 alternator. So less then 40lbs would be my guess for the L20.